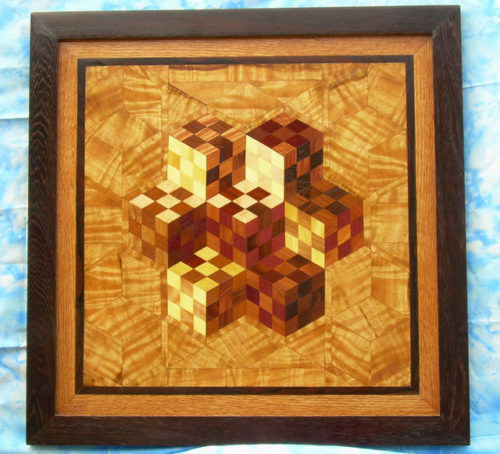 I make wall hangings, trivets, and coasters from wood using parquetry technique. 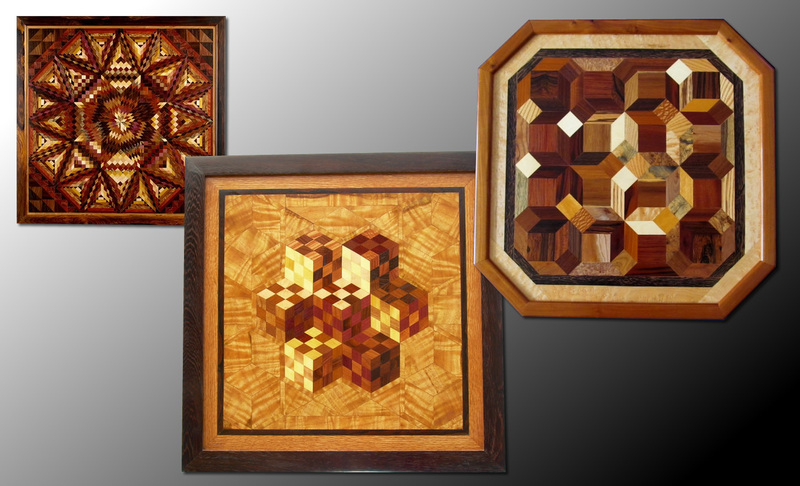 My geometric patterns, quilt patterns, and scrollsaw work can create 3D effects in 2D work. 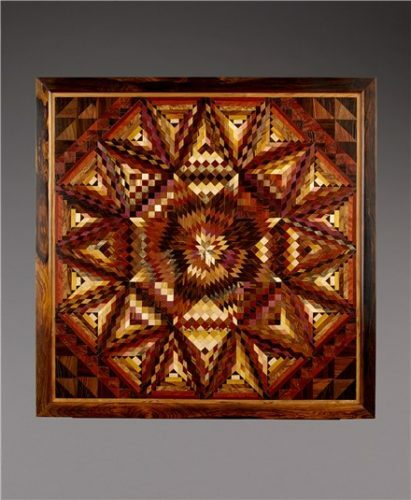 In my Parquetry art, I use 1/8-inch thick pieces of wood inlaid on a craft-quality ply-back board. 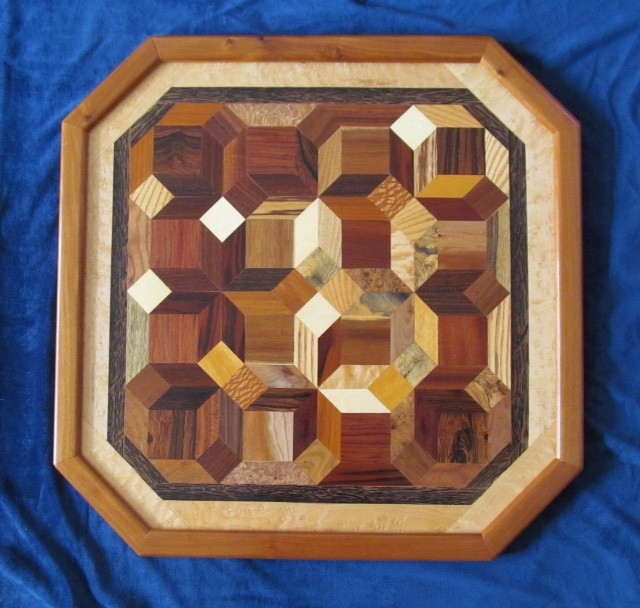 I use no dies or stains, and finish with Danish Oil buffed and waxed with Carnauba wax. I finish trivets and coasters with water-based polyurethane. All of my works are made with hand-cut and fitted wood pieces. I am a third generation woodworker and wood lover. My grandfather was a master cabinet and furniture maker from Europe. 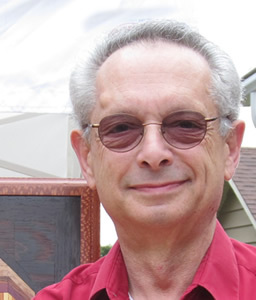 My mother made cabinets, and my uncle’s hobby was making wooden toys for underprivileged children, Grandfather clocks and organs for family and friends. As a retired manufacturing engineer who loves geometric patterns, I work with over 170 different species of wood. 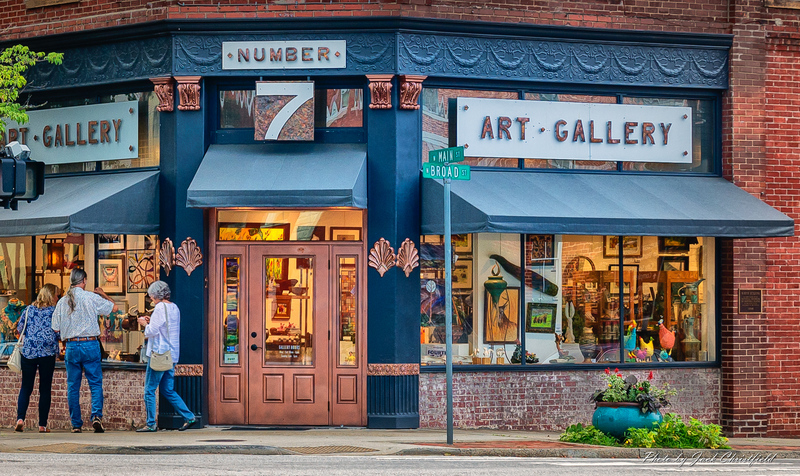 I started doing this in 2000 as a hobby and quickly became totally immersed in art. There are no books (yet) on how to do this form of art, so I have had to devise all my own methods. My inspirations come from my wife, who is a quilter and who encouraged me to start this “hobby” as well as the other forms of art that I interpret in wood.